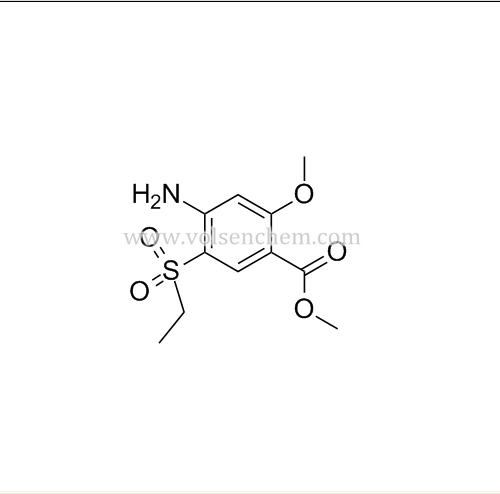 We are offering in wide range of Pharmaceutical Intermediates Methyl 4-amino-5-ethylsulfonyl-2-methoxybenzoate CAS NO.80036-89-1 which is an intermediate of Amisulpride.These high quality products are formulated by adopting quality methods and using well-tested ingredients that are procured from the certified vendors of the market. We offer these products in proper packaging of diverse quantity to meet assorted requirements of the clients. Looking for ideal 80036-89-1 Manufacturer & supplier ? We have a wide selection at great prices to help you get creative. All the CAS 80036-89-1 are quality guaranteed. We are China Origin Factory of Amisulpride Intermediate 80036-89-1. If you have any question, please feel free to contact us.